Although you may not think about it very often, tissue paper products – including paper towels, bathroom tissue, facial tissue and table napkins – play a very important role in providing comfort and convenience in our everyday lives, both at home and away from home. Besides the simple convenience they give us, tissue products actually have a very positive story to tell in terms of hygiene and health, environment and sustainability, and technology and science. And tissue is a surprisingly big business, with worldwide annual sales estimated to be around US$80 billion. USA trade data shows that tissue is the 3rd largest category of all in terms of spending value for many retailers – and by far the largest of the non-food items. 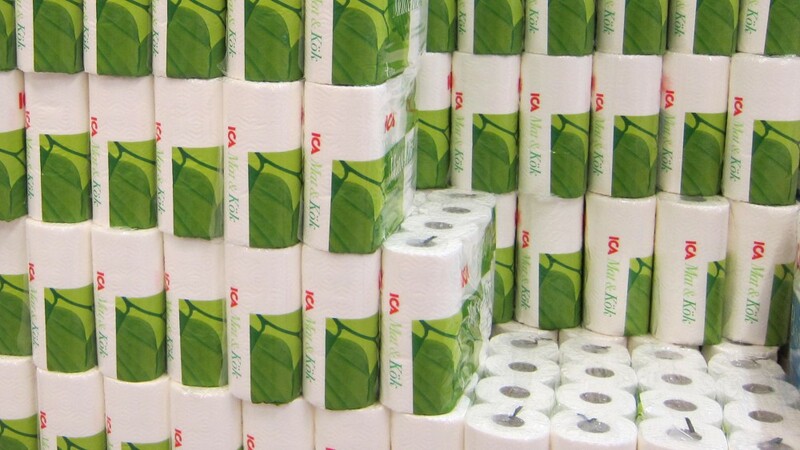 Costco, the world’s 2nd biggest retailer with sales of US$120 billion, says that its Kirkland-brand bathroom tissue is its top-selling single item of all its products – with yearly sales over US$400 million. While these numbers are impressive, there are several even more important aspects of tissue paper products that are sometimes overlooked and deserve more discussion – and appreciation. Hygiene is the key benefit provided by tissue. Tissue products are vital for personal and household hygiene, as well as commercial and industrial cleaning. Global health experts consider hygiene to be the number 1 most important factor influencing human health, and tissue paper products function marvelously to promote hygiene by helping prevent spread of dirt, disease and illness. Hans Rosling, world-renowned Swedish professor of public health, has stated that the last major outbreak of cholera in South America was confirmed to have been spread by dirty textile dishcloths, and paper towels might have helped to prevent that outbreak. Today, in most parts of the world, a day without the comfort, convenience and hygiene provided by tissue paper products is unthinkable. Renewable wood fibers are the main raw material for making tissue paper products. Renewable natural resources are a very important topic these days, and paper is one of the very few major industries that is based on a 100% renewable raw material. Since papermaking fibers originally come from trees, people sometimes have the mistaken impression that this causes major environmental damage. In fact, this is not true. Actually most fibers come from sustainably managed forests where trees are harvested and new ones replanted just like any crop such as corn or wheat. Furthermore, managed sustainable forests where primary fibers are grown do a great job of capturing and binding carbon dioxide, which is very important for slowing global warming. Recycled fibers also play an important role in tissue. Coming from other grades of recovered paper like office papers or beverage cartons, recycled fibers make up about 35% of all fibers used in tissue making. The entire lifecycle of paper products and wood fibers is very renewable and positive. Tissue products are high-tech specialty grades of paper that have softness, strength and absorbency engineered into the items. Tissue sheets weigh as little as 13 g/m² and are produced in jumbo rolls weighing several tons. This is done gigantic, high-speed paper machines running as fast as 120 km/hr or 75 miles/hr, which can cost US$100 million or more. These jumbo rolls are then converted on equally-impressive winding, embossing, printing and packaging machines into the smaller rolls and folded products that we use. Advanced science and technology is applied to make this happen. The field is called paper engineering, and it involves many scientific fields including chemistry, physics, mathematics and biology. If you have learned something by reading this, you might want to pass these positive points on to other people. Please share by clicking on your favorite social media below.